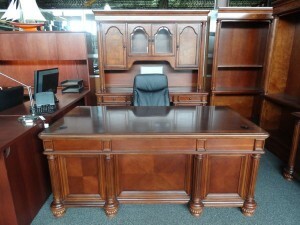 This desk is from the Kathy Ireland Mount View Collection by Martin Furniture. 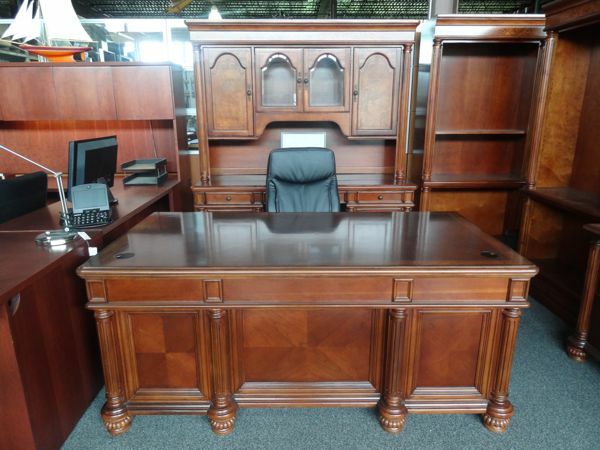 We refurbished this desk and applied a fresh coat of lacquer to the top. The color is “cobblestone cherry” on cherry hardwoods and veneers.